Earlier this week, Juniper Research published a report titled "Mobile + Online Gambling: Casinos, Lotteries, Betting & VR 2018-2022". 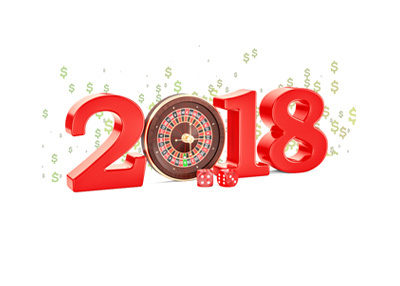 In the report, Juniper Research revealed that they are forecasting tremendous growth for the global gambling industry over the coming five years. To start, Juniper claims that total online wagers will jump as much as 11.4% year-over-year to a total of $700 billion. On top of that, Juniper also estimates that total global wagers will hit $1 trillion by 2022, with total online gambling users doubling to 684 million. Juniper believes that the biggest avenue of growth will continue to be the casino vertical, which it expects to continue to lead the charge going forward. Companies like Pokerstars have jumped on this trend over the past couple of years, adding casino products to their offerings to strong effect. Juniper points to the changing legislative picture in the United States as one of the main reasons why growth in the online gambling industry may be poised to continue over the coming years. In addition to more states (Pennsylvania) planning to offer online gaming to their residents, New Jersey is on the cusp of potentially winning a major victory at the Supreme Court which would allow it to offer sports betting to residents of its state. This could completely change the online gambling landscape in the United States overnight. On top of that, innovations in mobile and VR technology will push the industry forward as well. In short - this seems like a great time to be involved in the online gambling industry.